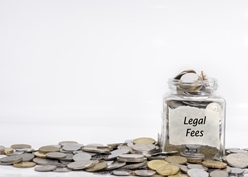 Legal Fees Are Paid by the Manufacturer in a Lemon Law Case | The Consumer Law Group, P.C. Will I have to pay legal fees in a lemon law case? When you hire an attorney to handle your lemon law case, you will not have to pay a retainer or legal fees up front, nor will you have to give up a percentage of your award to your attorney. This is because, according to the lemon laws in every state, the manufacturer of the defective vehicle is responsible for any and all legal fees, over and above the plaintiff’s award. Seeking a percentage of your award. Your lemon law attorney should itemize his expenses and fees for your case and submit them to the manufacturer for payment above the monetary award of your claim. Therefore, no money is taken from your award to pay an attorney unless you agree to it. No experience with the lemon law. If a law firm does not advertise itself as lemon law specialists, avoid using them. You want a law firm with experience making lemon law claims, not one that is just looking for an easy case. Avoid National Lemon Law Firms that we call "mills". They make their money based on the quantity of clients they get. You rarely speak to an attorney, instead, you get an assistant. Most importantly since they deal with so many clients they do not want to force the manufacturer to pay all your money back and instead encourage you to accept a cash settlement in which you get to keep your "lemon" car. Taking your case sight unseen. A trustworthy lemon law attorney will make sure you have taken the proper preliminary steps for a lemon law claim and will review your case to make sure you have a valid claim. If you don’t have a valid claim, he will not take your case and you do not risk losing. The Consumer Law Group founder, John Gayle, co-authored the legislation that became Virginia’s lemon law. He will not take a case that is not a valid claim. Fill out the Do You Have a Claim? the contact form on this page to get started.